Travel from Guwahati to gorgeous Shillong for as low as Rs. 2900! We cannot recommend the Shillong travel circuit enough to all our patrons. The gorgeous expanses, hidden waterfalls and a vibe like no other part of India, Meghalaya offers the best for any tourist seeking a break from the monotony of their working life. Savaari is here to provide you with the best in class services at extremely affordable rates. 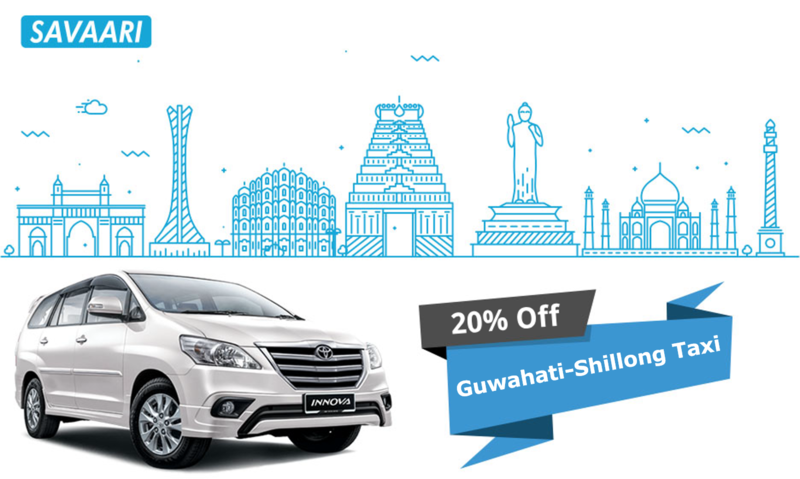 Book a cab from Guwahati to gorgeous Shillong and get 30% off on all Etios or Innova cabs for your getaway.